Merry Christmas Eve! Remember to count your blessings and tell those around you that you love them. But also, don’t forget about brunch and needing to know enough to keep up with the conversation. No politics rule? We call “Bah Humbug” on that. 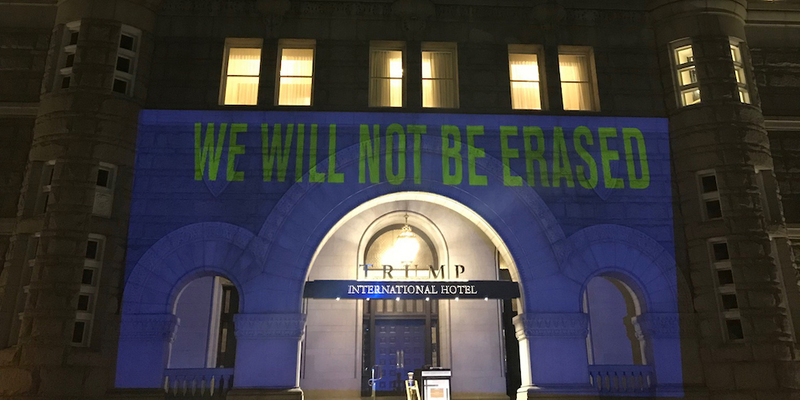 Saddle up to the table with these five stories of the week, from Trump trolled by the HRC to Lady Gaga securing a Vegas residency. The CDC was sent back its draft budgets with those words circled for correction. 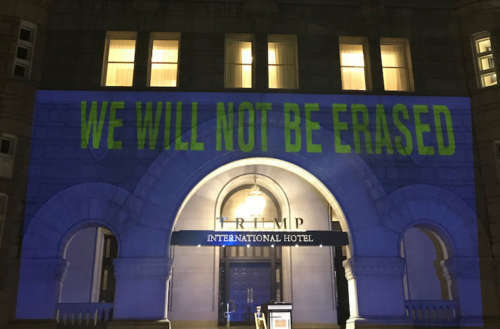 So in response, HRC (the Human Rights Campaign) decided to project those words onto Trump’s hotel in Washington, D.C. Check it out. 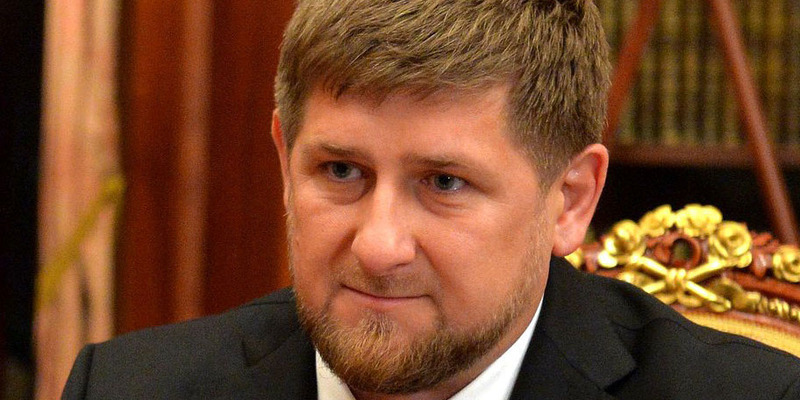 The leader of Chechnya, Ramzan Kadyrov, was denied entry into the United States because of his suspected purge of gay men (some reporting goes as far as revealing mass graves of missing gay men). He’s being denied entry based on the Magnitsky Act, which was the basis of Don Trump Jr.’s discussion with a Russian lawyer about how sanctions might be eased against Russia. 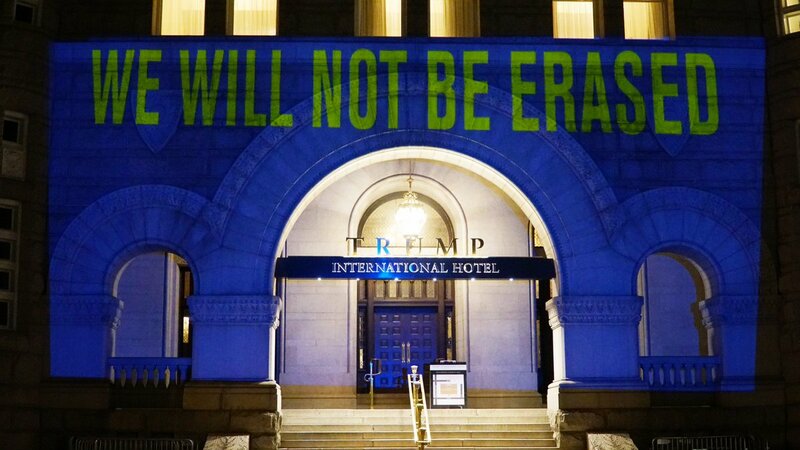 Gay Chechen men tried to flee the horrors of Chechnya to the United States earlier in 2017 but were denied entry. If we aren’t giving these victims safe harbor, then we sure as hell shouldn’t let the perp who’s committing these awful crimes against humanity within our borders. 3. Goo-Goo for Gaga … and Bruno! Continuing a run of some very high-profile acts like Britney Spears, Ricky Martin and Jennifer Lopez, Lady Gaga announced she has signed a two-year residency deal worth $75 million dollars to perform at Park MGM (formerly Monte Carlo) on the Las Vegas strip. 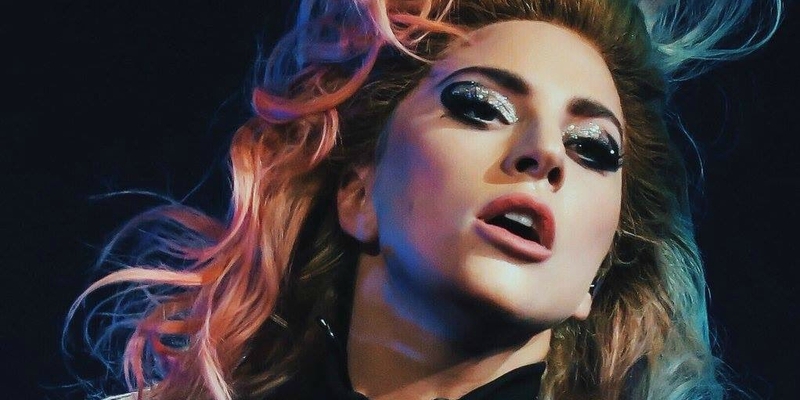 Gaga, who has sold nearly 30 million albums, will start her performances a year from now. Bruno Mars also announced a residency for 2018 in the same theater. We remember when Vegas was the last stop of a performer’s career. Now it seems to be the go-to place to entertain and make a huge paycheck. Dates and times will be released later in 2018, but we can’t wait! In fact, not just applause but a standing ovation. 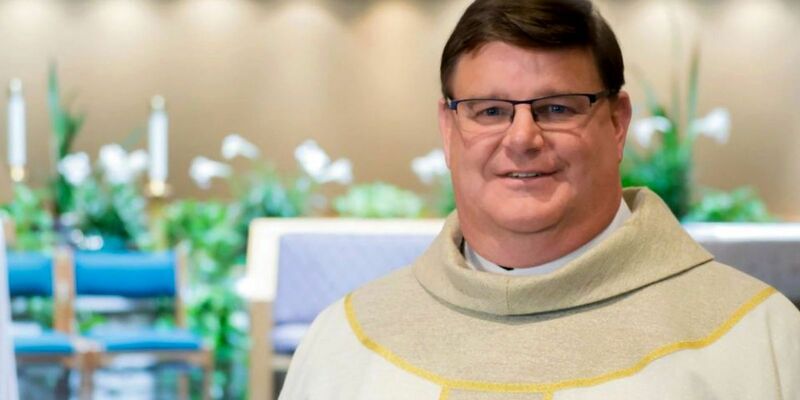 We are often tough on the Church as organized religion because of what pervasively starts at the top, but in this instance it was the people on the ground and in the church that showed us what it’s really about: the Golden Rule. Popular right-wing podcaster and former Fox new contributor Steven Crowder and his wife decided to go “undercover” to a Vermont LGBT center to try and expose a conspiracy of trans people gaming the system of government-funded healthcare. Claiming to be “bi” (not that the Center asked for your status), the two attended a seminar that assists trans individuals with navigating a complicated health care system. Crowder recorded several minutes of video and edited together short clips to make it seem as if trans people are trying to get the government to pay for their gender reassignment surgery because they are unemployed. But it seems he should do more research into why there is an unemployment problem within the trans community. Crowder, who claims that “all editing is subjective,” makes several derogatory comments about hormones, electrolysis and more in a video posted on — and ultimately removed from — YouTube at the request of the Pride Center. The Center rightly claimed individuals’ privacy was violated. Crowder has a history of stunts like this, including attending a union rally in 2012 and ultimately being punched by someone acting in self-defense.